Quench your craving for good fiction with this wonderfully written Old West adventure. Hoping to leave the shadows of her shady yesteryears behind, Adeline Reid is focusing on her photography career. But when her ex-boyfriend's compatriot in crime shows up in Dodge City her entire past is threatened by exposure. Can Addie keep her secrets while helping to catch a killer? Deputy Miles Carr's investigation into a shopkeeper's murder leads him to Addie's door. 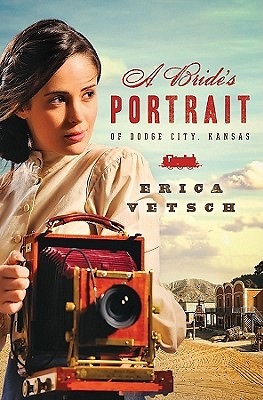 Will his attraction to this female photographer keep him from catching the true culprit? Or will Addie lead him off course in more ways than one?